The Hussey Team — Scouts Honor Media Co.
JP Hussey and his mortgage team help homebuyers navigate the experience of acquiring a mortgage with a personal friendly touch. They believe buying a home should be a pleasurable experience. They wanted an identity that rejected the "boring" loan experience, and would project a light-hearted spirit. 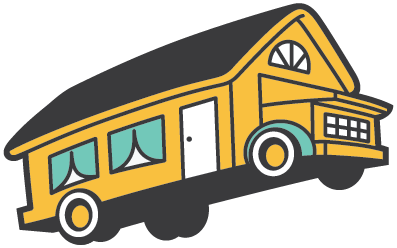 They also wanted to feature their existing slogan, "Hop on the hussbus to homeownership".